54-year-old Nikolai Kaklimov completed exercise 4,989 times in 12 hours. Russian athlete Nikolai Kaklimov has set a new pull-up world record. The 54-year-old Krasnoyarsk-born athlete has completed 4,989 pull-ups in 12 hours, reports Rossiyskaya Gazeta. Kaklimov first performed sets of 10 pull-outs, but, by the sixth hour of his attempt, he switched to sets of five pull-ups with short breaks to recover, said the press service of Krasnoyarsk's Main Directorate of Physical Education and Sports. The video recording of the achievement is planned to be sent to the Guinness Book of Records Committee. 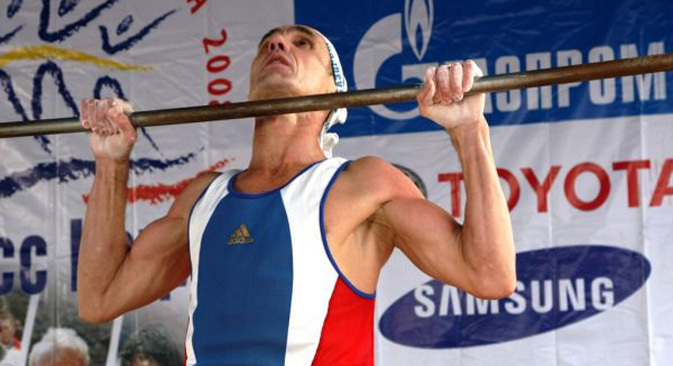 The previous record – 4,654 pull-ups – was set by Jan Kareš from the Czech Republic. Kaklimov has never been a professional athlete. After working at one of the Krasnoyarsk plants for 17 years, he is now retired. He became interested in sports after his military service, began to pursue polyathlons (a group of challenges in different sports requiring different skills) seriously and received the title of Master of Sports at the age of 30. "Now I'm going to pursue another dream – I am planning to break the world record for the most pull-ups in 24 hours," said Kaklimov in an interview with Rossiyskaya Gazeta.